Katy Perry has taken the pop world by storm with her cute costumes, trendy makeup and hairstyles. But has the “California Gurl” always been so beautiful. Well, by the looks of this picture of Katy as a teen it looks like she has! We would assume she has NOT undergone any plastic surgery to date and is 100% all natural. Katy has been able to use the best makeup artists and stylists to change up her look appearance to appearance. 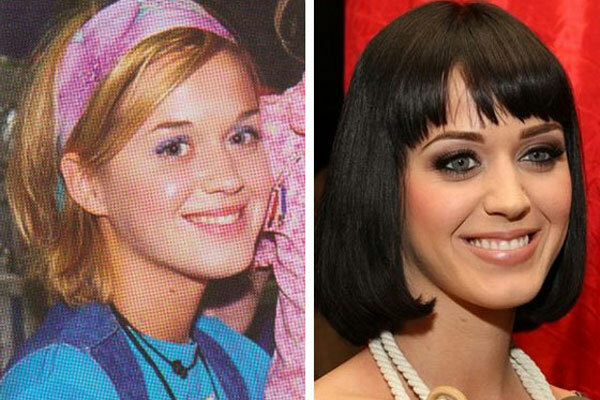 But looks can be deceiving, what do you think, has Katy Perry enhanced her looks with the surgeons scalpel?